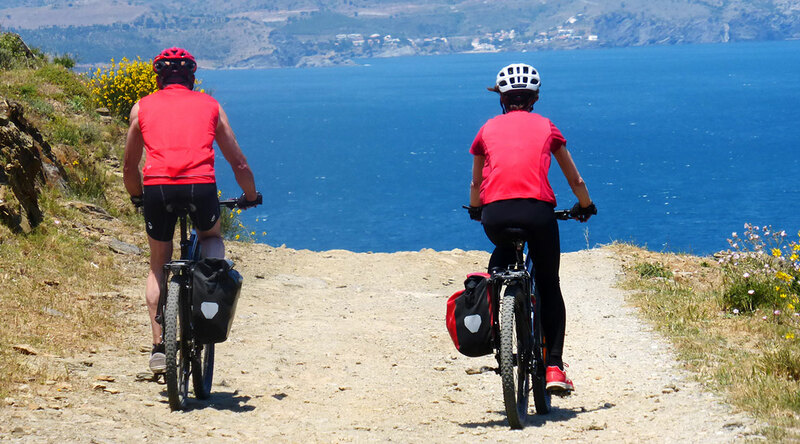 Cycling through Empordà involves a variety of surroundings and amazing landscapes which divide two protected natural areas: Cap de Creus and the Sierra de las Alberas. It provides all the ingredients to enjoy and immerse yourself in the magic which has inspired a multitude of writers and artists. The north wind (called tramontana in this area) and a special geology have created some unique rock formations in the zone of Cap de Creus. 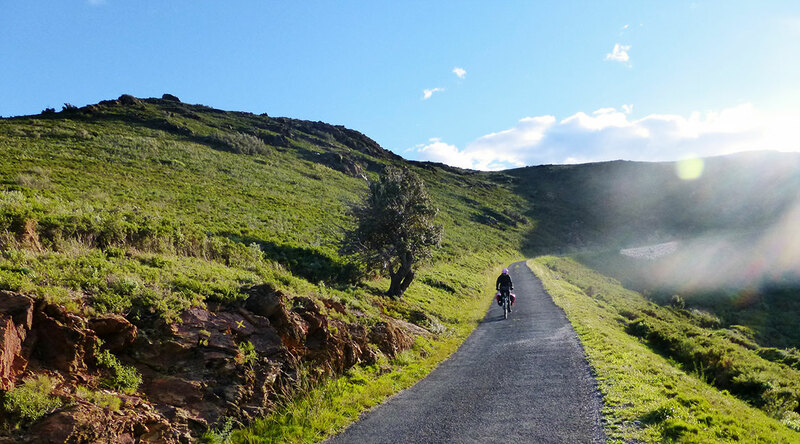 The Sierra de las Alberas takes us into one of the most starkly beautiful and solitary areas of Empordà. A large part of the route is done on roads and paths in good condition. 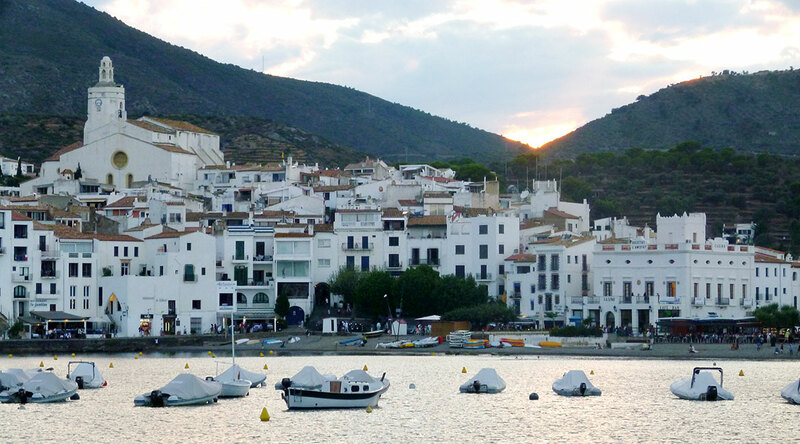 The route makes stops in two very nice towns: Cadaqués and Colliure. Famous for their connection with the sea, their narrow cobblestone streets are typical of old fishing villages and their close relationship with renowned international artists and writers of the 20thcentury such as Matisse, Chagall, Picasso, Dalí, Buñuel, Antonio Machado and Federico Garcia Lorca. We begin in Rosas with a climb that has strong and moderate sections, but is brief and on an infrequently traveled secondary road. We arrive to an elevated point with a commanding view of the Gulf of Roses from which we descend – enjoying spectacular scenes – until Cala Monjoi, known for having had one of the most famous restaurants in the world “El Bulli“. 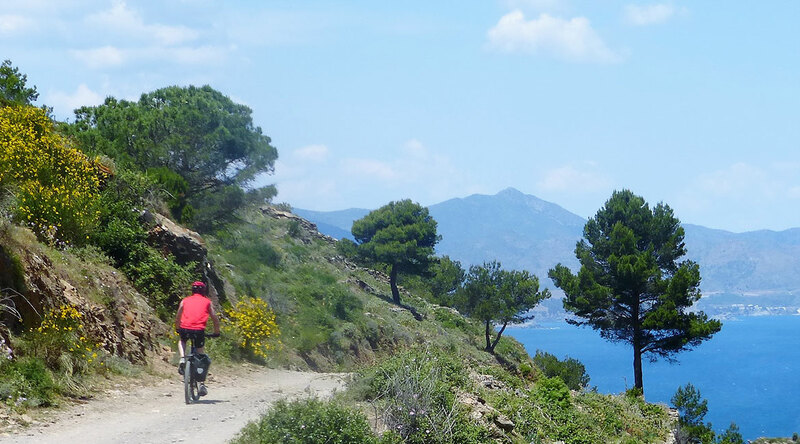 We continue on a good flat path until the natural surroundings of Cap Norfeu and Cala Joncols from which we begin a long but manageable climb until the pass of Sa Cruïlla where we can admire privileged views on both sides. 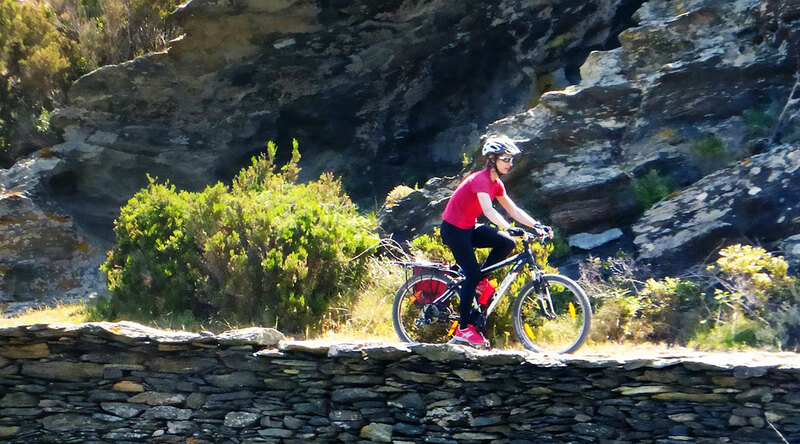 Then we start the descent to Cadaqués on a path in good condition that passes by a couple of unique country houses. 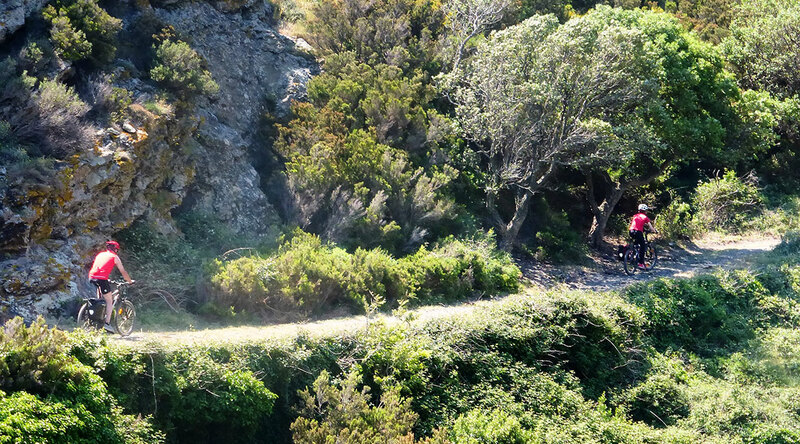 The last kilometers represent a continuing photographic spectacle of the Bay of Cadaqués. 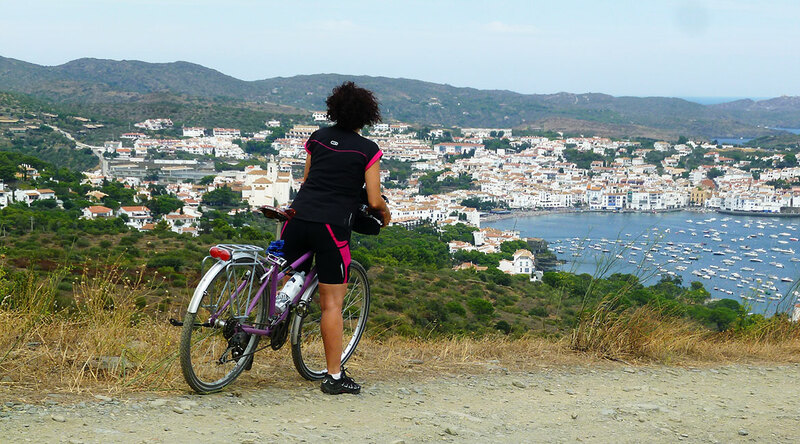 It’s necessary to pay attention during the last few kilometers due to irregularities on the path until arriving at the town of Cadaqués. 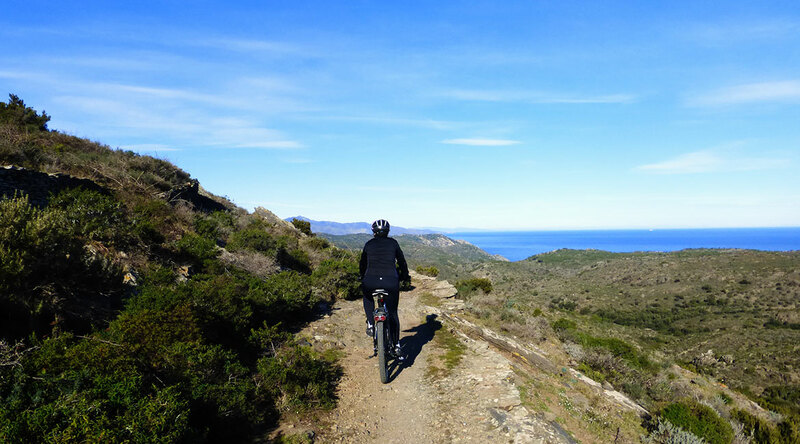 We leave Cadaqués starting on the little road to Cap de Creus from there we take a path in constant but manageable climb, until arriving at a panoramic point of the entire area of Cap de Creus. From here we follow the little path (GR11), with a fun and sinuous trail, most of the time in good condition, except at some points where we have to go carefully. 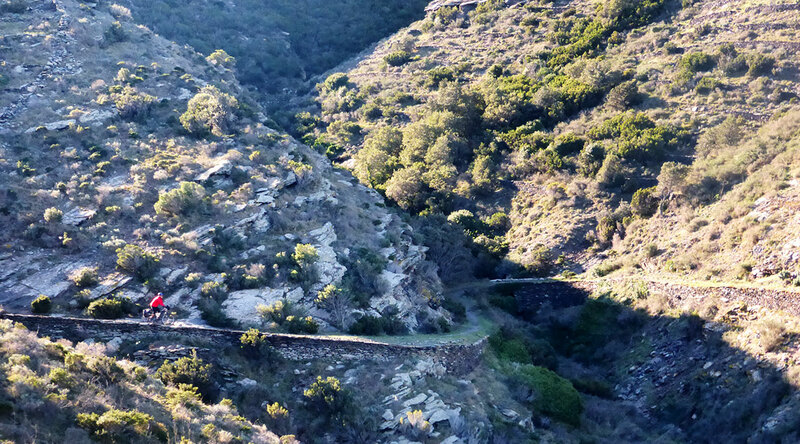 Next we pass Mas Vell where we take a path that goes through silent and solitary spaces until San Baldiri de Tavellera where we start the descent until Port de la Selva on a path with lovely views overlooking the sea. From Port de la Selva we take the small road that leads us to Llança in 5 km. 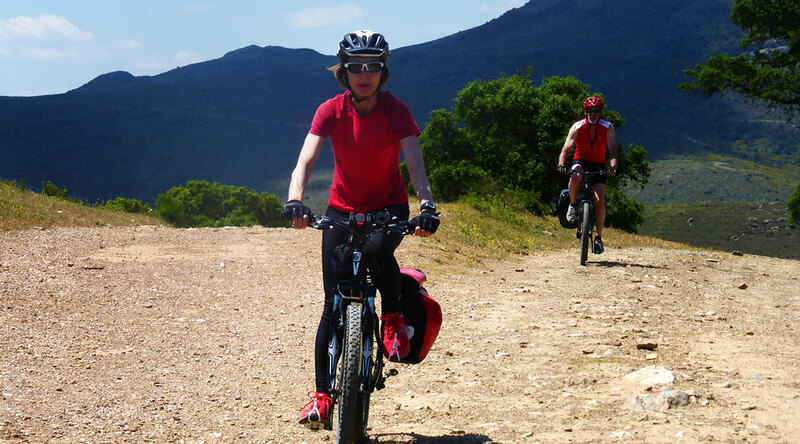 We start the route with some kilometers on the road that goes to Figueres. After 5 km we take small and solitary roads that lead us to Espolla without significant inclines. From this little village we start the climb to the border through Coll de Banyuls with constant ups and downs, generally quite manageable but with some more difficult sections mixed in. 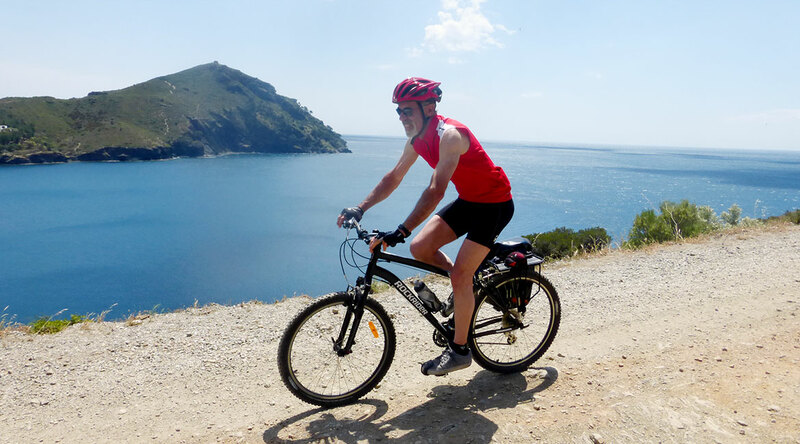 On the pass (Coll de Banyuls) we enjoy a great viewpoint. From here the route goes on a solitary path for 10 kilometers, generally in good conditions except some more irregular parts. The slopes here are very slight and basically the path flattens on this stretch. This entire section has magnificent views over the French coast and Banyuls’ vineyards. Arriving at Torre Madeloc – a 13th century guard tower that can be seen during this part of the route- we turn off at Coll de Gascons where we again find a nice secondary road. After a brief and hard slope we start a pronounced and enjoyable descent to the sea.